It’s been all over the news the past day or two: Apple surpassed the boys in Redmond to become the world’s largest tech company. This is an incredible achievement, and testimony to the innovation churned out by Jobs and company in the past decade. As I was walking to work this morning in Oxford Circus, I came across the Apple store and saw a scene which embodied their success. 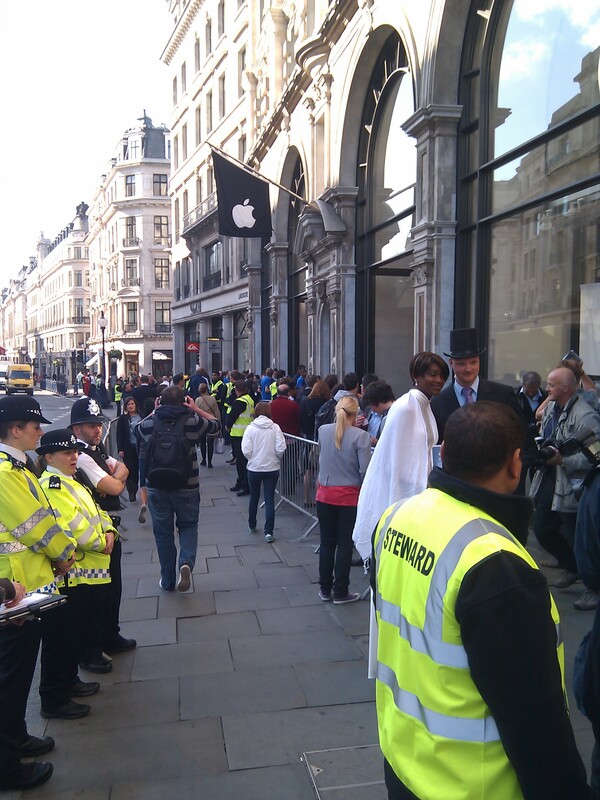 It was the UK release of the iPad; they were to go on sale at 8am. People had be waiting in line for this new gadget for over 24 hours, and the line stretched around the city block. I pasted the store around 8:30. As I walked past, employees and eager customers where cheering – that’s right cheering – as each new iPad was sold. I can’t even begin to imagine such a scene with Microsoft. Apple, well done. You guys are the model of innovation and consumer passion and loyalty.